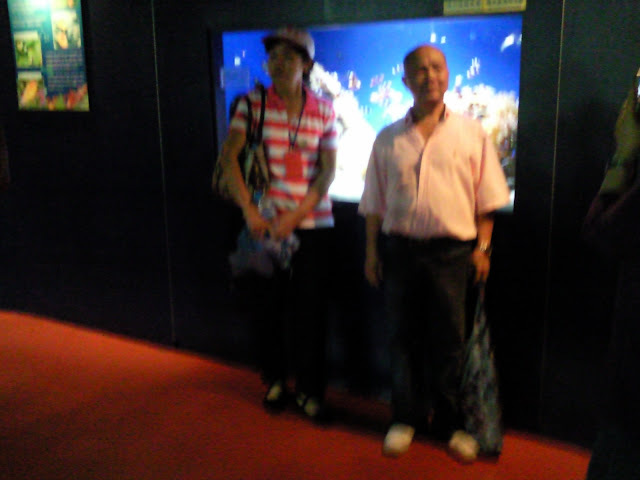 I and my friend touched down at Hong Kong International Airport on 13 Oct 2010, 11am on a early Tiger Airways. 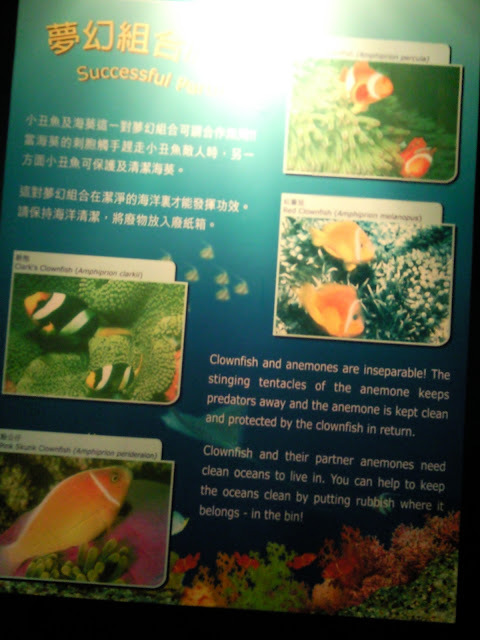 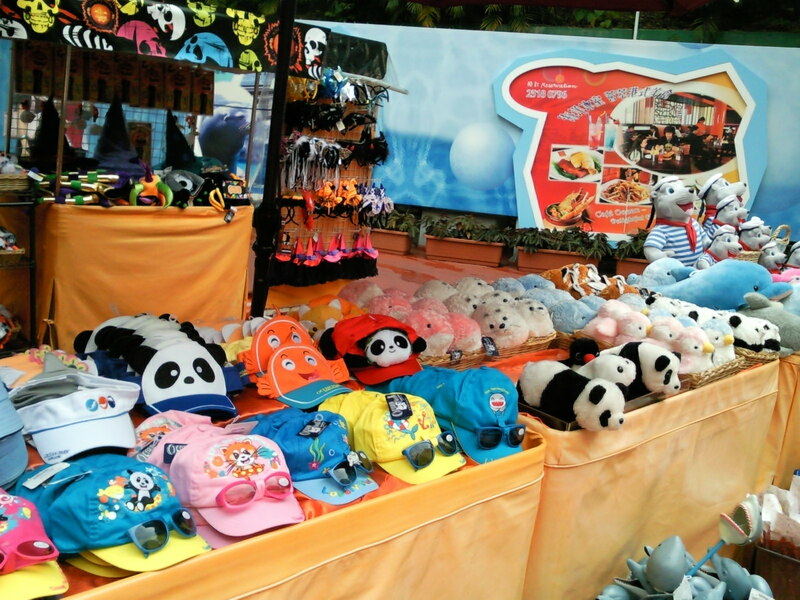 We went down to Ocean Park the next late morning 14 Oct (Thurs). 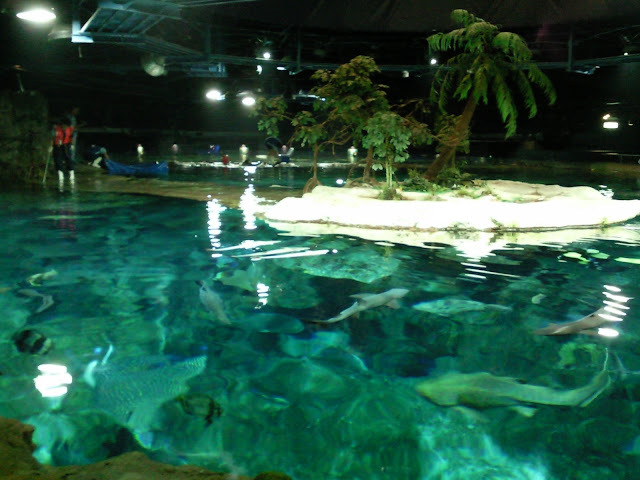 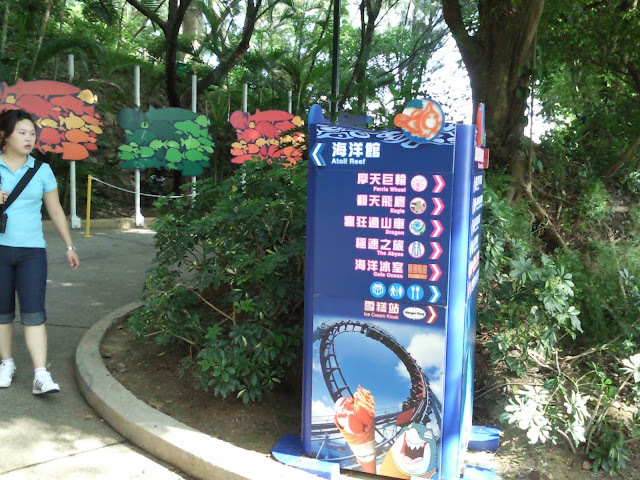 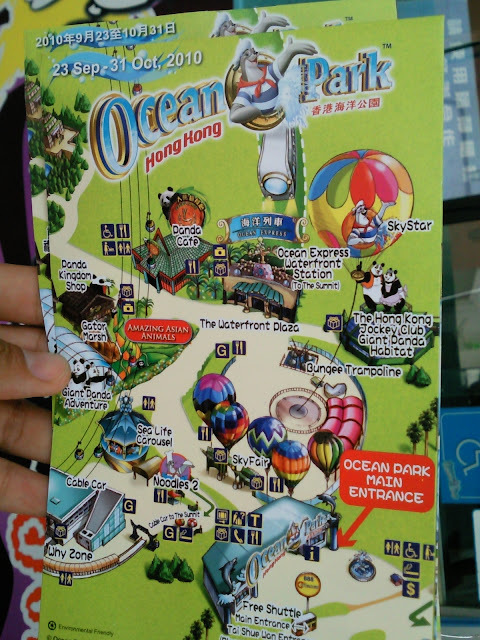 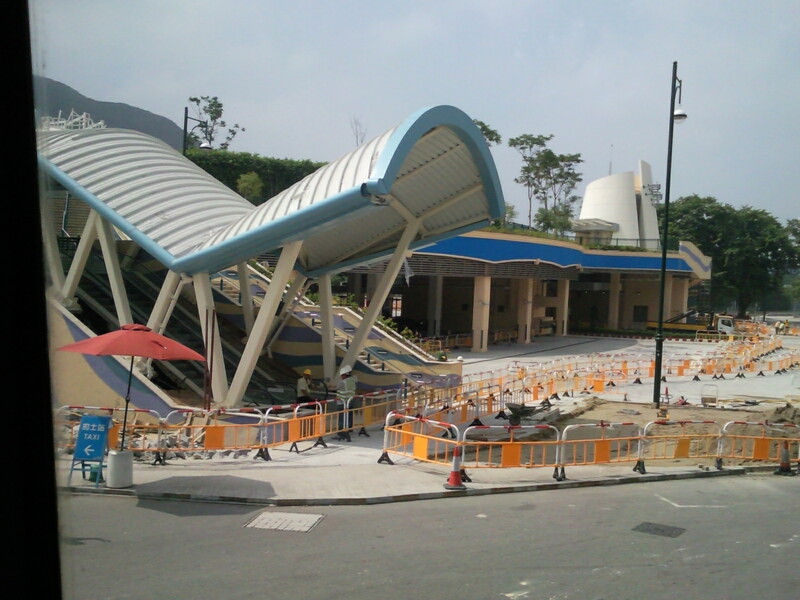 Its better to reach Ocean Park by opening hour 10am in order to enjoy all the features. 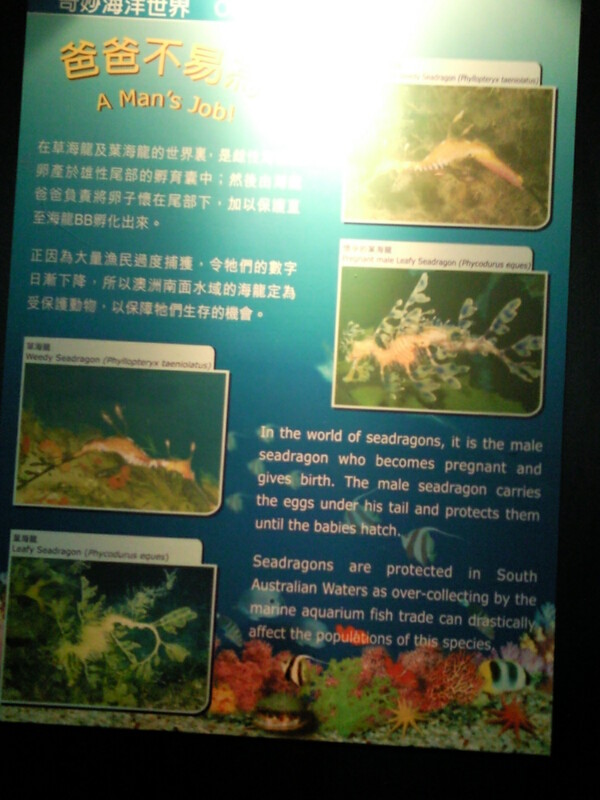 It was really an educational and eye opener tour . 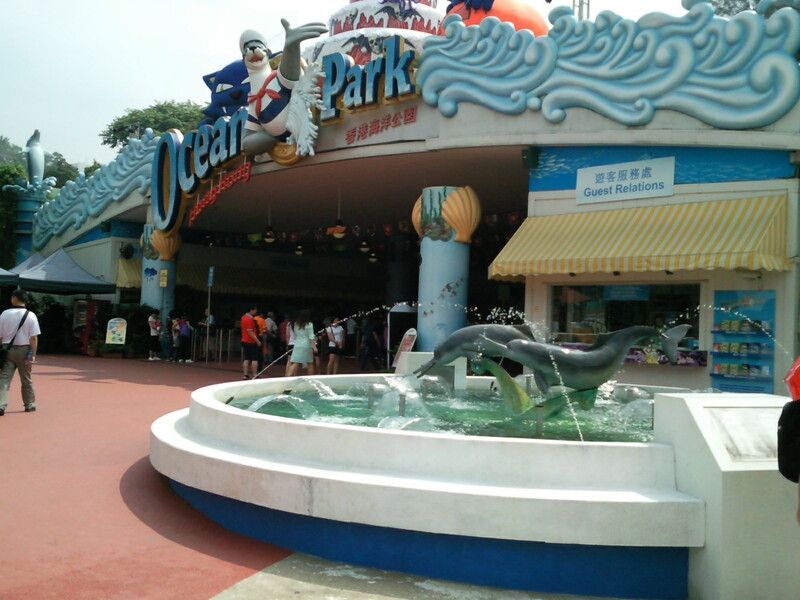 Ocean Park is much bigger and better things than Sentosa. The entrance fees of HKD$250 is really worth going twice. 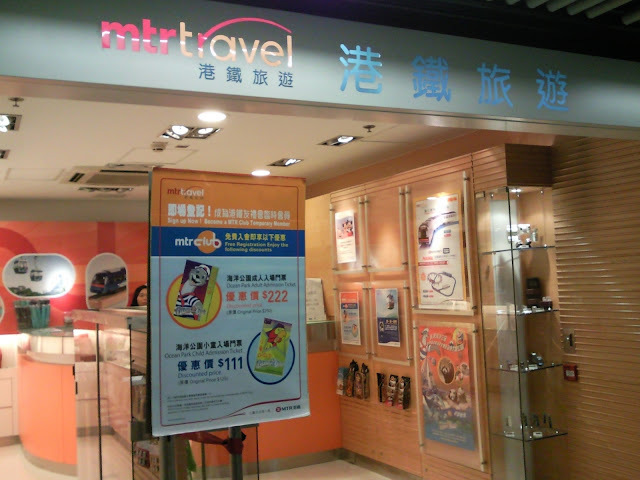 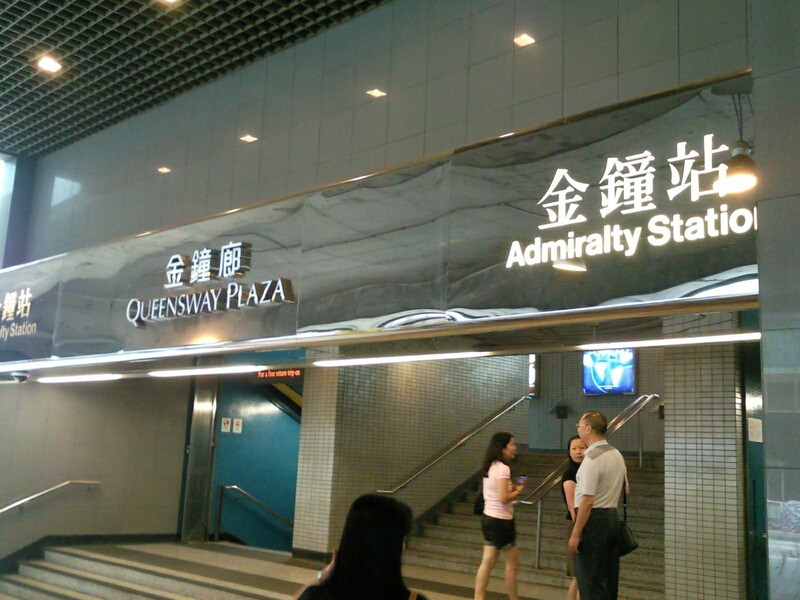 If you buy tickets at Admiralty MTR in Hong Kong, got discount of HKD$28. 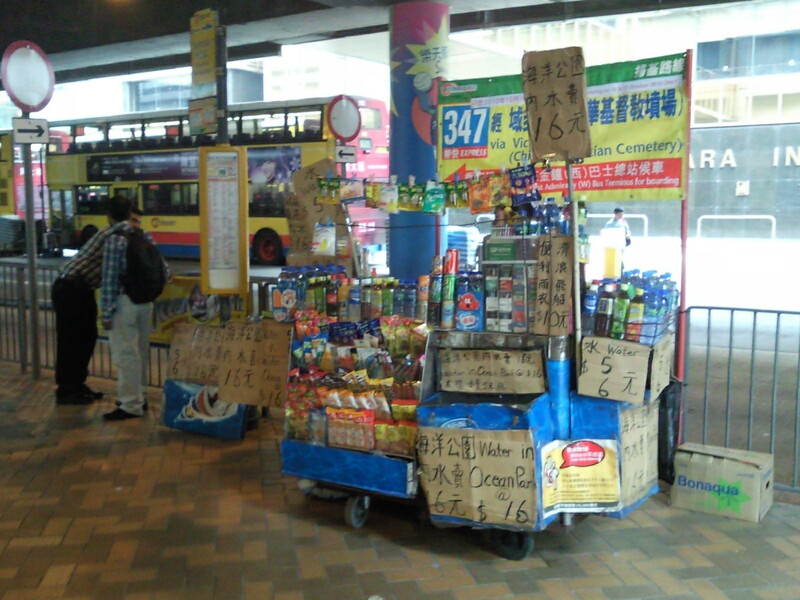 a mobile drink stalls at the bus interchange reminding you that the water in Ocean Park cost HKD$16. 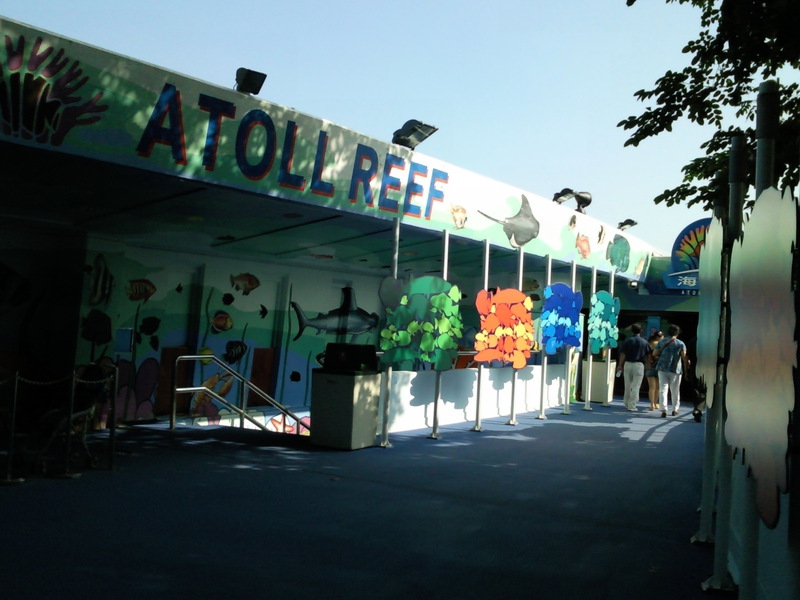 atoll reef's top view - feeding session! with sea turtles, sting rays, monster fish, puffers, and occasionally sharks lurking around! 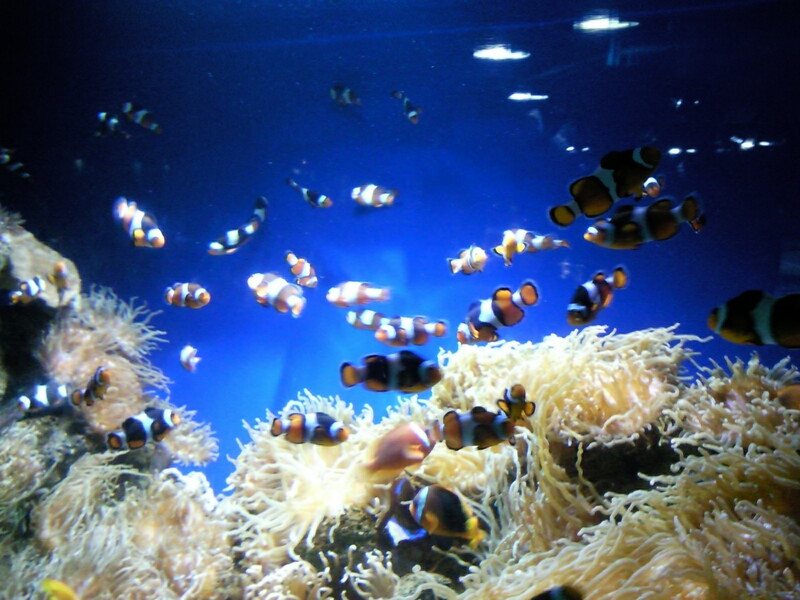 Nemos swimming against water current in a fish tank! 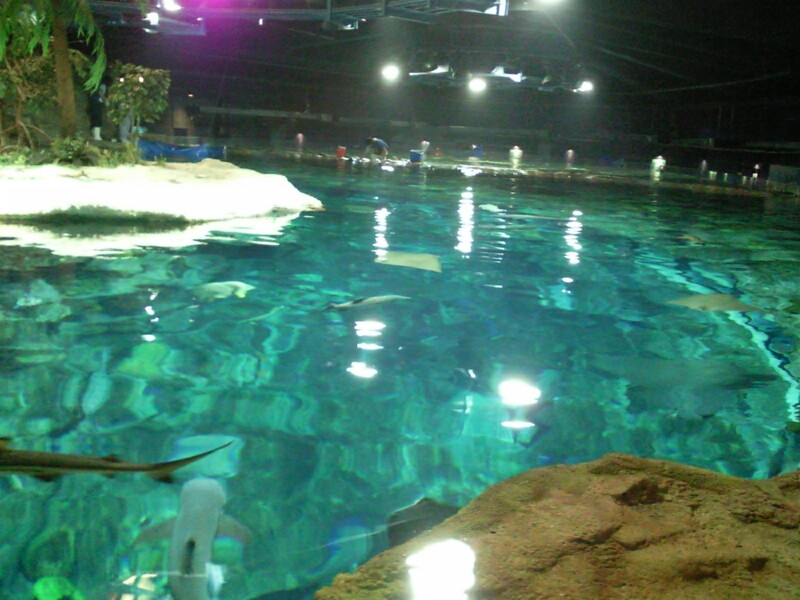 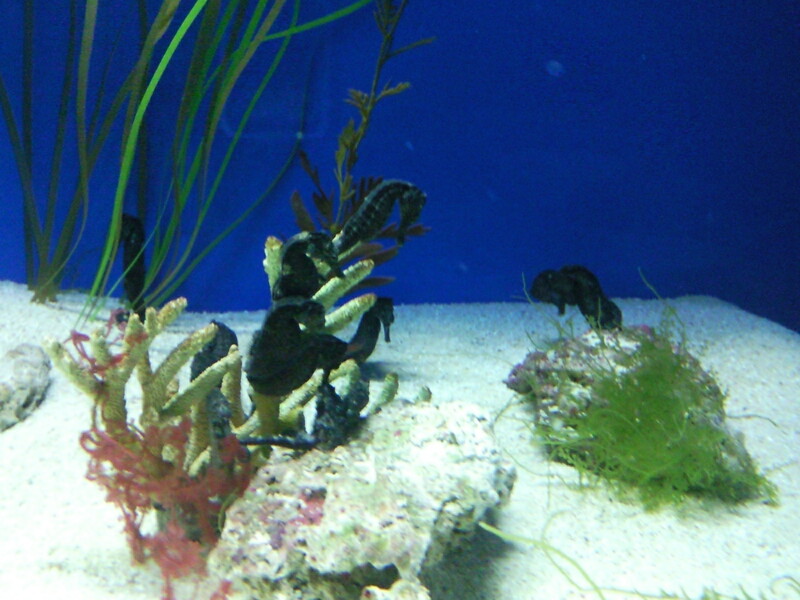 Video clip of the Reef Enclosure, magnificent awesome fishy sight ! ! !